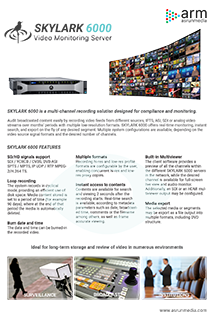 SKYLARK 6000 is a highly reliable multi-channel recording solution designed for compliance and monitoring. Audit broadcasted content easily by recording video feeds from different sources, IPTS, ASI, SDI or analog video streams over months’ periods with multiple low-resolution formats. SKYLARK 6000 offers real-time monitoring, instant search, and export on the fly of any desired segment. Multiple system configurations are available, depending on the video source signal formats and the desired number of channels. Whether you need unattended 24/7 recording system to comply with clients and audiovisual authorities, or you rather wish to be aware of what your colleague broadcasters are doing, SKYLARK 6000 is the way to go. 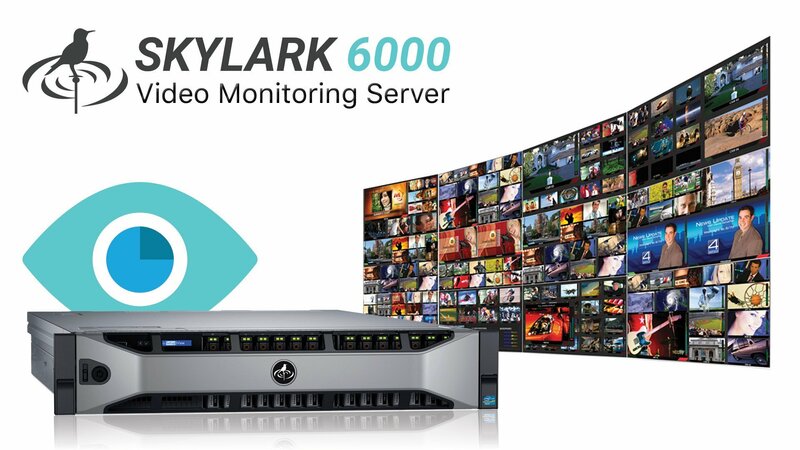 SKYLARK 6000 is a professional broadcast compliance recorder and media monitoring platform designed for logging and monitoring any number of TV or radio channels. 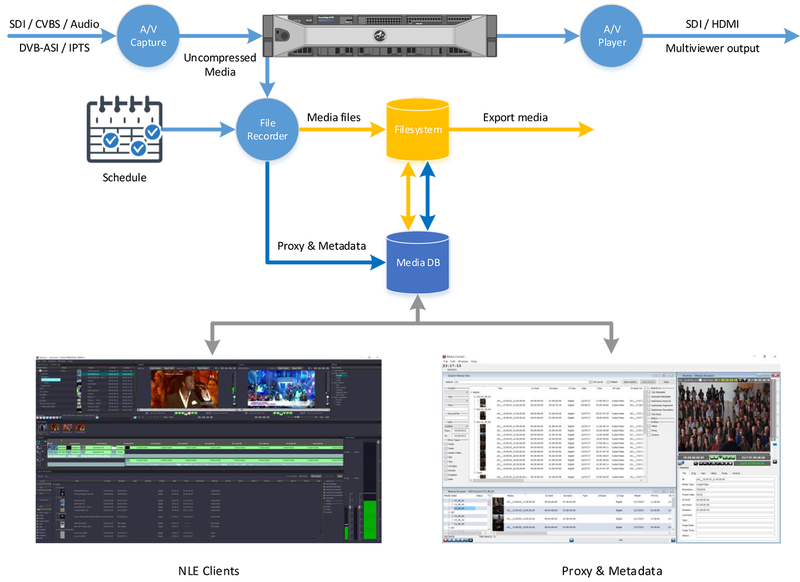 Supporting SDI, ASI, TS-over-IP and many other source inputs, you can record and monitor practically every signal, including Teletext and Closed Captioning (Subtitles), into multiple file formats. The system can be configured for uninterrupted 24/7 recording or by a specific schedule with different time ranges. The loop recording provides higher efficiency on the storage management erasing outdated content automatically. Easily search, view and export content while being recorded to share relevant feedback in minutes. SDI / YCRCB / CVBS, DVB-ASI SPTS / MPTS, IP UDP / RTP MPEG-2/H.264 TS. The system records in cyclical mode, providing an efficient use of disk space. Media content stored is set to a period of time (for example 90 days), where at the end of that period the media is automatically deleted. The date and time can be burned-in the recorded video. Recording hi-res and low-res profile formats are configurable by the user, enabling concurrent hi-res and low-res proxy copies. Contents are available for search and viewing 2 seconds after the recording starts. Real-time search is available, according to metadata parameters such as date, broadcasted time, comments or the filename among others, as well as frame accurate viewing. The client software provides a preview of all the channels within the different SKYLARK 6000 servers in the network, while the desired channel is available for full-screen live view and audio monitor. Additionally, an SDI or an HDMI multiviewer output may be configured. The selected media or segments may be export as a file output into multiple formats, including DVD structure. 1Only available in HD configurations.